However calling it merely ‘Roast Pumpkin Ravioli’ doesn’t seem to do this dish full justice. This is one of my proudest restaurant-quality savoury dishes that I’ve ever made, and the recipe has come from…wait for it…the Coles supermarket June 2013 magazine. I’ve never made burnt butter sauce, have never (knowingly) tasted sage, and had never made any form of my own pasta before in my life. But I had a friend coming over for dinner later in the week and with my love of entertaining and cooking for others, I knew pulling something out of my old repertoire wouldn’t be good enough for me. I wanted to experiment with new flavours, new textures, and expand my skills and culinary techniques. This dog is still learning new tricks! I had a bit of a boo-boo during my first round of recipe testing, where I used fresh lasagne sheets as the original recipe dictated. I’m not sure if it was because the sheets were just cold, but they weren’t particularly malleable and kept splitting when I tried to seal the ravioli, and nor would they seal properly. In exasperation, I looked up some other recipes online and saw a similar recipe by Donna Hay where she’s used wonton wrappers instead. Well hey, I’m Asian so of course I have a pack of these already in my fridge. If you look for these at the supermarket, make sure you get the egg pastry ones. There’s another type from the same brand but it doesn’t have egg in it and you want that egg-pasta flavour in your ravioli. They’re soft, silky and delicate so handle them carefully. Because they are so thin they also cook much faster than lasagne sheets- bonus! Preheat the oven to 200 degrees Celcius. Spread the pumpkin over a lined tray and drizzle with olive oil. Roast for 30 minutes or until tender. Cool. Roast the walnuts on a tray for 4 minutes until toasted. 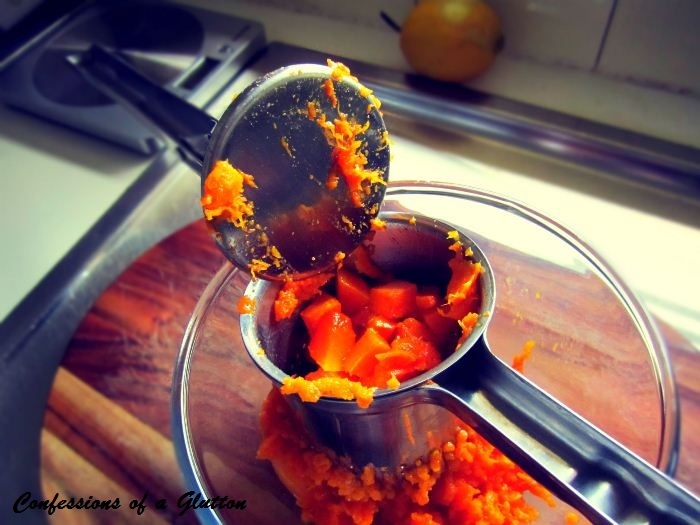 Mash the pumpkin in a bowl. Lightly whisk the egg white in a small bowl. Lay out half of your wonton wrappers and divide filling between the pieces, making a 3-4cm wide pile in the centre of each. Brush the edges with egg white before placing the remaining pieces on top, expelling as much air as possible. Press to seal. Bring a medium saucepan of water to the boil over high heat and cook the ravioli, in three or four batches for two minutes each until tender. Use a slotted spoon to transfer to a tray lined with baking paper and cover loosely with foil. Cook the butter in a small frying pan over medium heat for two minutes or until just starting to brown. Add the sage (it will crackle like mad) and cook for a further 30 seconds until the butter browns. Divide the ravioli among the dishes and drizzle with the butter sauce. Sprinkle with the toasted walnuts and shaved parmesan. Love how versatile won ton wrappers are. And love the butter and sage combination – it’s just so beautiful!